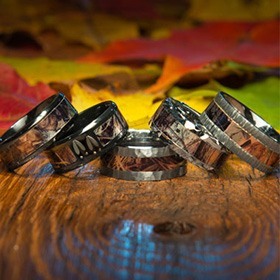 Here at Titanium-Buzz, we're all about hand-crafting one-of-a-kind rings that celebrate your unique personality. In the case of our basic titanium rings, that personality reflects elegance, class, and impeccable style — no need to overdo it. This collection includes our simplest and most classic titanium wedding bands and fashion rings that are perfect for the ring shopper in search of understated sophistication. Why choose titanium? Well, from our perspective, it's pretty simple: titanium rings are ultra-tough and stylish, with a feather-light feel for the best in comfortable, everyday wear. Titanium is scratch-resistant and resistant to deforming, warping, or melting, so it can basically withstand anything you throw its way, including bumps, drops, scrapes, and accidents. And because titanium is an inert metal that's not chemically reactive, it'll never oxidize or tarnish. 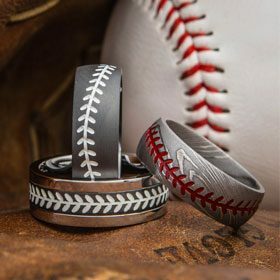 All of our titanium rings are constructed from 6Al4V titanium, which is an extremely pure alloy made up of 90 percent titanium, 6 percent aluminum, and 4 percent vanadium added for strength. Each ring is hand-crafted by a skilled jewelry artisan that's as crazy about titanium as you are, so you can expect yours to last forever. Added bonus: our titanium rings are hypoallergenic for the most sensitive skin! 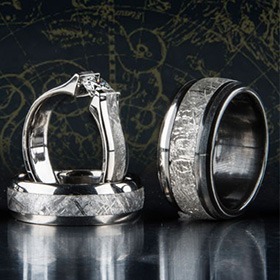 Whether you're searching for men's titanium wedding bands that honor his classic sense of style or want to upgrade your fashion jewelry selection with styles made with this cutting-edge material, Titanium-Buzz has got what you're looking for. We've got hammered titanium rings, milled edge styles, square styles, and inlayed styles that are statement-making yet straightforward. 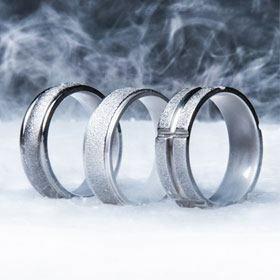 We offer super simple titanium rings that are popular as titanium men's wedding rings, like our Simple Titanium Ring featuring a polished style. We also hand craft uniquely understated titanium styles for a simpler look. If you prefer some texture, check out styles with eye-catching textures like cross weave, satin polish, sand-blasted designs, and more. You won't find anyone more passionate about titanium than us, so if you want to find out more about what makes titanium special or what we can do for you, give us a call at 1-866-215-1861 or send us an email. We'd love to hear from you. This is just the beginning. Discover a universe of style in our full collection of original titanium rings.